The modern history of relations between Muslims and the Armenian Orthodox of Anatolia, Azarbaijan, and other parts of the former Ottoman Empire has not been happy one for the most part, and in both popular memory and in historical scholarship pogroms, dislocation, erasure, and genocide have been foremost concerns, and for good reason given the ongoing discourses and actions of denial and erasure in the region. However, that focus has often resulted in lack of attention to the complexities of relationships between Armenians and their Muslim neighbors, relationships that historically were marked by more than just antagonism (though conflict did exist). The following story, which reflects a different iteration of the ‘shared economy of holiness’ that we explored in an earlier post, comes from Aṛak’el of Tabriz’s magisterial volume of history that deals with Armenians in the Safavid Empire and beyond during the 17th century, and which includes within it several sustained hagiographic accounts of contemporary- to Aṛak’el- Armenian saints, saints who sought to ‘reform’ and restructure Armenian Orthodoxy through preaching, educating and disciplining clergy and monastics, and building or renovating local church infrastructure. 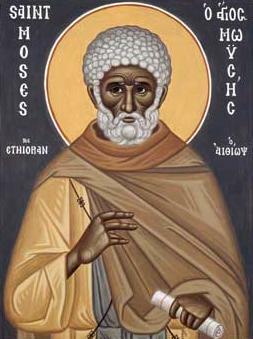 While, according to Aṛak’el’s accounts, these saintly vardapets (a vardapet is a type of monastic preacher and scholar in the Armenian Church) practiced intense personal holiness and strove for the good of the Armenian people and faith, they ran up against entrenched powers in the hierarchy, and as a result sometimes ran afoul of Safavid officials. Interestingly, however, many of the stories of conflict that Aṛak’el tells involve Armenian Christian instigators who go before Muslim Safavid officials and level charges against the saintly protagonists. Such is the milieu in which this story takes place. Vardapet Poghōs, one of the key saints in Aṛak’el’s history, had incurred the wrath of a range of prominent church officials in his efforts to revive parish life in the far northwestern corner of the Safavid realm. The encounter described in the following account occurs while Poghōs and his disciples are on their way to visit Shah Abbās II in order to clear their name. The encounter between the Armenian saint and the pious Muslim householder that takes place in the midst of this journey is a good symbol of the ways in which holy men and women might be recognized across confessional boundaries, even as prominent people within their own community did not recognize their holiness, for various reasons. Şeyh Hasan Efendi, the subject of part one of this installment, was in a similar state, as he was opposed by Ottoman Muslims of a ‘puritanical’ bent, even as he was evidently recognized as holy by at least some of his Christian neighbors. At the everyday level, it seems, early modern people in the Islamicate world, of which Armenians were an integral part, sought to recognize the friends of God in whatever form or place they might be found, since such holy men and women might provide a crucial source of safety and aid in an often hostile and uncertain world. Holy men and women themselves- including those such as both Vardapet Poghōs and Şeyh Hasan who were clearly deeply committed to the creedal precepts and claims of their respective faiths- were more often than not in this period accepting of such ‘ecumenical’ encounters. The saintly vardapet lifted his habitually outstretched hands to the sky and prayed adamantly to the Lord to give the man a son. The benevolent Lord, who had promised to give His followers whatever they requested in faith, granted the man a son because of the saintly vardapet’s prayers. The same man later informed us of this. For, after some time, the Muslim man came, thanked the vardapet during the Divine Liturgy, bowed down, thanked him, praised him, and said, “Because of your prayers, God has granted me a son. I now beg you to pray that God grant him a long life.” The saintly vardapet prayed for him again, comforted him for some time and then let him go. Aṛakʻel of Tabriz, The history of Vardapet Aṛakʻel of Tabriz ( Patmutʻiwn Aṛakʻel Vardapeti Dawrizhetsʻwoy) Translated by George A Bournoutian. (Costa Mesa, Calif.: Mazda Publishers, 2005), 202-203.